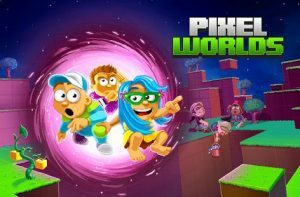 In this massively multiplayer social sandbox game you can create your own worlds and shape them the way you want. This game is awesome! The only thing you need to fix is the chatting. There are times that I couldn’t chat for some reason. I can’t even see other people chat! Anyway, this game is still kind of new. Keep up the good work! The Black Tower is back! Race through the tower to get valuable loot! Legendary items in the Tower change every week! Recall Magnet for returning items to your inventory! Collect Halloween candy from the top of the Tower for special set! Halloween familiars return with a new member! Midnight Cape blueprint and Snake Eyes are back! Demon and Old Altar for creating Legendary+ items and more! New Superhero set: Sir Laser! Over 50 new items in total!